We have Just Sold out of Star Wars The Last Jedi Porg 6.5 Inch Super Deformed Plush. This Item is unavailable at present. From the Star Wars The Last Jedi collection by Comic Images. 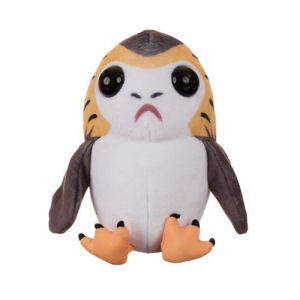 Star Wars The Last Jedi Porg 6.5 Inch Super Deformed Plush. This huggable plush measures 6.5 inches tall. Ages 3 and up. Comic Images Star Wars Plush and Stuffed Animals shipping from Canada. No Surprise Border fees or Customs!